Fawkes had the most liked content! Bump. Made this thread last year, rewrote it now for clarity. For the last few years, I've kept a set of puppets in the PvP section of my inventory in order to annoy people on boat rides and such. Having an actual puppet meta would be a dream come true. Standing on mycelium increases food and nutrition, and while this was nice to have in the past, being constantly full makes it impossible to eat. And since eating real food is the only way to gain CCFP, mycelium can feel like a liability more than anything. Especially since on a PvP server, you want every benefit you can get, and if your opponents have a 33% stamina advantage over you, that can potentially swing an entire fight. So these faction-specific tiles are no longer a selling point for Libila, but instead are something to be avoided. And even if you do avoid mycelium in favor of the CCFP system, it makes cooking even harder due to mycelium blocking harvesting and foraging. It's almost not worth it to spread Lib influence at all. Mycelium should provide at least enough CCFP to halt the drain. That way cooking is still useful/necessary, yet we don't have to avoid our own faction's tiles just to be on a level playing field with everyone else. 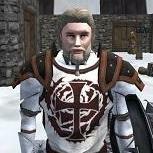 Tl;dr: CCFP has made mycelium obsolete and undesirable for PvP. To be worthwhile, it should be compatible with the new system, not an inferior alternative to it. I don't believe QL (or enchants, for that matter) affect characteristic gains. So a 50 QL sword is probably better just for the sake of keeping yourself alive and being able to actually kill stuff. Does QL of the container affect skillgain? As in, is it better to use low-QL containers for grinding like you would with most skills? Does QL of wine barrels give a bonus to aging wine? Keep in mind that Wurm is one of very few games that allows you to buy premium with ingame currency at all. It's a privilege, not a right. Those of us who buy premium with real money are the ones keeping the game afloat, and enabling more people to avoid doing so will reduce the longevity of the game. Here's what would happen, based on Freedom's history: 1) ProArtiSeller and his ten priest alts would spam Locate Artifact during the wee hours of the morning when nobody's awake to compete. 2) He would then sell those artifacts for ridiculous prices on the forum, because people on Wurm will pay stupid amounts of money for anything that makes them unique. 3) The people who want to earn the artis legitimately or are otherwise not willing to pay 1g for a 30-day Sword of Mag will make a series of forum posts complaining about "pay-to-win arti sellers ruining the game" and "elite players controlling the economy". 4) In response to this, artifacts will start dropping from avatars of their respective gods at a 5% rate, but will have their respawns and travel restrictions removed so people can "enjoy the results of their hard work". 5) These artifacts will flood Chaos and widen the new-player PvP gap even further, while the people over on PvE will still complain that they're too hard to obtain. Rinse and repeat. I like the design of it except for the oversized head. Realistic models > fantasy models any day. With that in mind, the mauls' barber-pole theme and bright orange wood hurt my eyes. That's an awful lot of decoration for a glorified club. This. Especially since these won't even fit in a bank because they technically have stuff inside them. I like to have my recipe notes ingame rather than on a separate spreadsheet, but it's hard to keep it readable when you have to write everything on a single line. Can we have the ability to press enter and start a new line in the recipe notes? Poll: should rarity of cooker/container change affinity of meal? The discussion of "rare ovens giving access to more affinities" is irrelevant when you consider that there are many thousands, if not millions of possible food combinations. So it just comes down to a question of: do we inconvenience the current rare oven owners once, or do we inconvenience all future rare oven owners from here on out? Change it. It's an unnecessary headache. Option A is unintuitive enough that it'll continue to be a problem for new players in the future. Option B will be a problem for people who've already done most of their testing with rare ovens, but it'll be a one-time problem. I'd prefer B. The system is complex enough as it is. We don't need to add another thing to keep track of. My first ever home server raid, "Fawkes why tf are you using a staff? It's the worst weapon in the game." A year or two later it gets nerfed for constantly one-shotting people. GG.